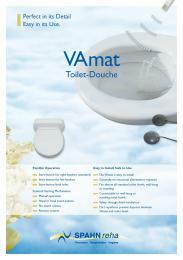 The VAmat® WC douche is suitable for everyone who expects more from their intimate care – and for those who must expect more, such as the physically handicapped, rehabilitation patients and elderly people. The compact care unit fits almost every commercially available toilet and can, as a rule, be used effortlessly and safely with a commode chair. Comfortable, problem-free, individual. 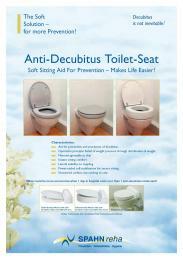 Additionally, it guarantees efficient use and economical consumption. As a product unique the world over, the VAmat is equipped with a continuous-flow water heater, with which you can wash using at least 2 litres of warm water per minute. Hence, a continuous water supply is guaranteed. Washing and drying time can also be adjusted, depending on your personal preference. 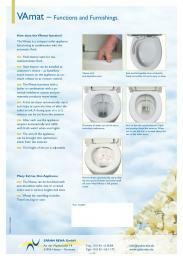 Our products have had a very good reputation in the field of aids and appliances / specialist care appliances for years. One reason for this is that we support our affiliates, right from the planning stage on. 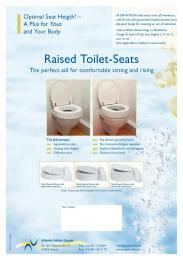 We are setting standards across Europe with the products we have developed, such as the VAmat® WC, the anti-decubitus seat, and our toilet seat boosters. In the future, too, we will continue to adapt our product range to the latest market demands. Become a distributor for us and contact us. The earlier you involve us in the patient care process, the better. Together, we will find the solution best suited to your customers. Indications calling for the use of a WC douche. This list is not complete and should only be used as a guide.